How did we get here? September is just a day a way and I feel like summer just began. It doesn’t feel like we have been in the states long enough yet with my family this year. I don’t feel like I have had a chance to see enough family and friends and spend enough days out with the kids. It has been absolutely amazing as it always is to be home but I feel like it is a teaser this year. As you read this, I am currently on three plane rides and a four hour car journey heading back to England. Even though we have spammed everyone on instagram on a daily basis with our adventures we have missed Daddy this year with us. It didn’t feel the same without him coming out for a few weeks in the middle of our trip. The kids have been asking a lot more about when we are going home and when they will get their toys and bedrooms back. We have been sharing the same bedroom for six weeks and as much as I want my bedroom space back so do they. This summer, we made the most of our short time here and planned days out, water park visits, swimming in lakes, rivers, ponds and pools, and we have visit as many family and friends that we could. Some years we get a chance to see everyone and some years it’s harder to organize and get us all together. This year was one of those years for numerous circumstances we missed a lot of close family which makes us sad but it also makes me excited for next year already to make up for lost time this time. The kids have grown twice their size and changed so much this summer, like they do each summer. Their hair is blonder and the fresh air and chilled out living has made them calmer and happier too. We are returning with clothes that don’t fit us and tanned bodies. We soaked up as much sunshine that is humanly possible to bring back with us and hoping it last all winter. Family and friends around her for summer. Time with her kiddos without distractions. Diving for rings at the bottom of the pool. A Paw Patrol birthday party. Playing with his Seattle friends that came to visit. Grandma and Papa’s new puppy, Dexter. Learning to write her name. Us visiting for the summer, of course. Bonding with her grandkids and teaching them baking. Making new memories with her daughter. This month’s Me & Mine is hard because Daddy is missing. I hate when we aren’t a family of four for a whole month. It seems way too long but this is how it is being an expat so we cope with it. As a family of three this summer we have made some amazing memories together. There are moments this summer that I feel will stay with me forever. I have so much to share in the next few weeks once I get settled back in the UK. The kids have been teaching me a lot lately about life and how I want it to go for the future for us all. There will be some major changes coming soon that I am both excited for and nervous for but know they need to happen. I can’t believe B is in Year One in a week and then it soon will be MM. We only have a year left together, one on one, before she starts school so I really want to make the most of it for us. Life is so short I think I lived last year way too fast, too full, and too busy. What’s life if we rush it? I really want to make our time together while the kids are growing more special by living at a slower pace. I don’t think we ever stop when we are in England and when we get to America each year it’s so amazing to slow down. The kids seem to be happier and have more fun when life is slow. I think sometimes we have all these plans but it’s better to let them go out the window and be spontaneous and lazy together in the summer. It’s a time for them to have a break from all that rushing around too. I am so excited for our new routine that I have sorted when we return. No more classes every day but have one busy day for swimming lessons and gymnastics/soccer. That makes it a less packed rushed week schedule for us all. I love that. Not sure why I didn’t do that sooner. Our trip to America always leaves us sad to say goodbye but grateful to have this time here with family. It makes us appreciate life more and regroup for the things that matter most that may have slipped our minds while we have been rushing around. I don’t know if it’s just being home that makes me want to be a better person, a better version of me or if it’s the positivity of my family surrounding me but I love the feeling I go back to England with. I always have motivation and plans for a better future for our family. 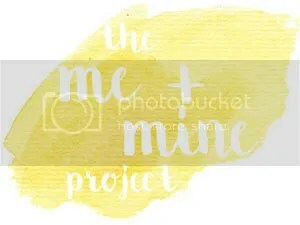 We have Grandma joining us this month for our Me & Mine project. There is nothing better than being with my mother. We have so much fun together. That’s the best part of our summers here to be able to spend so much time with her when I can’t throughout the year. I love our summer memories, we make together. It’s amazing to see the kids bond with her as much as it is to keep bonding with her, myself. I wish we lived closer where we could always have time together throughout the year but being an expat you have to make the most of what you get. I try to stockpile, my own Mom time, as much as possible when we visit. We laugh about splitting her time between being Grandma and being my Mom. There is time for Grandma and kids to play and bond but I also love having her all to myself too. I am not afraid to admit it. The kids adore her and she goes along with our crazy family adventures and days out with us whenever we go. I couldn’t ask for a better mother and grandma to my children ever. Please check out the host with the most: Dear Beautiful and the beautiful families of the cohosts: Bump-to-Baby, Mummy Daddy Me, Capture by Lucy, and Tigerlilly Quinn. I know so many have said that I feel the same. I feel like I just tweeted out we are on our way and now we are back here in the rain and cold and it’s September. How did that happen so quickly? I will never understand how fast life goes. Aw Jenny… I love these. The bike has to be the coolest. You are so lucky to be traveling to America each year. Thanks Janine, I feel lucky and I wouldn’t want to spend our summers any other way. I have already planned out next year’s trip and everything. Can’t wait to go back. Thanks Harriet that’s so sweet of you to say. We had a very lovely summer and I hope you did too. Oh bless you, it’s hard isn’t it? I hate living far away from family as I grew up with all my family all around me. I am constantly thinking of my kids and will they have enough family around them to feel like I did. But I am so grateful for our summers there it’s amazing. Yes we spend more time and do more together than if I lived close and didn’t come live with her for a month every year. lol We always joke if I still lived in Seattle we wouldn’t see each other as much or spend as much quality time together as we do now. Typical isn’t it? It was really hard to say goodbye this time as my Dad isn’t well but exciting to see hubby again and have us all together. I feel like I was only just leaving and now I am back this year went too fast and too short now that B is in school. Last year, we got to spend 9 whole weeks there and it was amazing. I love these photos. I think it will be so great as you can look back and remember the time so well. I really love the addition of Grandma as it is such an important month for her where she gets her baby and her babies all to herself. Thanks Kara, so true my mom loves summers with us there. I can’t imagine it any other way now. It’s our ninth year of spending weeks there for the hot sunny weather and fifth year with the kids in tow and I just look forward to it each year. I already have next year’s all planned out. Aww these are lovely photos, especially the one with your mum joining you! I bet you have all missed Daddy, can’t imagine how hard it must be for you all to be away from each other for so long! But I can also imagine it must be hard to leave the states and your family and friends there behind too. Just think of the amazing memories you are making for your children! Yes it’s definitely a catch 22 hard to leave one and then hard to leave the others. Always feeling pulled between two lives and two worlds and two families but I really wouldn’t have our summers any other way. We had such a great time and the kids just flourish there. I know what you mean. It was easy for my mom but getting my dad to participate is never going to happen. hahaha Me and Mine definitely is for extended family too. Families are pyramids not lines. 🙂 Thanks lovely. Hope you had a great summer too. Tough without Dad but amazing in so many ways, you look refreshed honey and i know you needed some of that sun! Lovely photos. Oh yes hard without Daddy but so amazing in the sun and resting up. I needed some down time and it feels good to be back recharged. Thanks Karen. Looks like a fabulous summer and I love that Grandma is on them, so lovely! It seems 2 minutes ago I was reading about your American adventures last summer and here we are at the end of another. I bet it was hard to be away from Daddy for so long, Itll be so lovely for you all to be a family again. You all look gorgeous and golden and I bet it was awesome with all of the lake swimming. Oh yes me too I really hope you get that American trip in. I look forward to ours each year and it seems to go faster each year too. It won’t be long before we are back there again. I hope. Love the sunshine and family all around us. Thanks for following our summer adventures each year that means a lot. It truly is an amazing experience to go each summer with the kids. Let them experience and see all the things I got to do and see when I was a kid myself. It is really magical spending the whole summer there. I wouldn’t have it any other way. Thanks Natalie, I only wish everyone could experience where I grew up and lived. That’s why I love sharing our adventures as much as possible. OH yes, my mom and I are super close no ocean will ever change that. We have such a great time in the summer and spring when she comes to the UK to visit too. I wish only that she lived closer so we could do it more often. The kids truly grew tons this summer, all that fresh air. I know how did it get to September so fast? I want to rewind and have summer again. Yes all the classes and school runs I feel like a winter taxi. lol Thanks lovely. It must be difficult for your children to be away from their England homes (own beds, toys etc, not to mention daddy!) for such a chunk of time. I’m not sure I could do that every year but like you say, that’s the life of the expat and you surely do make the most of it Jenny! Thanks Carol. I think they don’t know any different so they are used to it. They have their own beds and own toys and a playroom at my parents house so on that front they feel like they have two homes, two sets of everything so they are grateful and lucky in that way. Being away from Daddy that long was a one off this year due to work issues but he normally comes a few weeks into the holiday and stays two weeks and then we come home two weeks later so really on a normal USA summer visit the kids are never apart from daddy more than two weeks. This year was a fluke and was tough but we did make the most of it and got to see so many family and friends and then came home stocked up on sunshine and fun ready for school year and winter time. Sometimes it feels weird being pulled between missing hubby/daddy and having all my amazing family around me for the summer and seeing my best friends. It’s definitely a mixture of emotions. But I think sometimes that just proves how strong our relationship is between my hubby and I and it makes us appreciate each other what we both bring to our family life and do for each other. I know he doesn’t like us gone but he is putting us first as he knows I need to see my family and being home helps me not feel so lonely and isolated the rest of the year so far away and the kids get to play outside every day and bond with my family. So hubby puts us first for that and also it gives him time to work as much as possible with his company so that when we come back he can take more time off with everything more in order. It is hard but also so grateful for our time in both countries and showing the kids they are apart of two worlds.